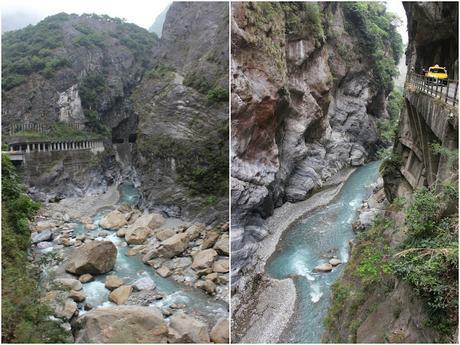 From Taipei, you can either fly down to Hualien or catch a bullet train. There were also guided tours for about AU$300 to AU$400 pp which included flying down to Haulien and training it back to Taipei main station on the same day. MC and I decided catch an express train (NT440) to Haulien and back ourselves (approx. 2 hours each way or 3 hours for normal train (NT160)). From there, we hopped in a taxi which drove us around Haulien all day like a personal tour guide (approx. 5 to 6 hours) (approx NT3000). So basically after doing the maths, it is a lot cheaper to do it yourself and even more so if you are in a group of 4. There are also plenty of taxi's there and a lot of tourists in Haulien / Taroko National Park so it is quite safe to venture round yourself with a taxi. So after waking up at the crack of dawn, MC and I arrived in Haulien Country at approx 10.30 am. 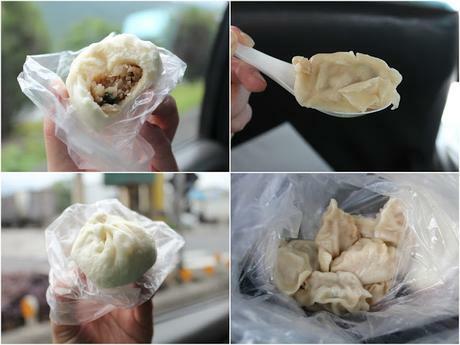 First stop was breakfast at a dumpling stall, Gongzheng Baozi (199-2 Zhongshan Road). You can't miss it. 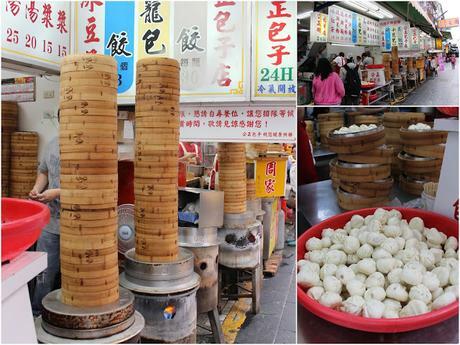 It isn't far from Gongzheng Street (one of the main streets of the town centre) and you should be able to spot many of their bamboo steamers stacked on top of each other from afar. Definitely one of the more popular dumplings spots in Haulien. Given the travel time, we were in a bit of a rush so the taxi driver was nice enough to let us eat in the car. The buns and dumplings were piping hot so take caution when eating. Their dumplings and buns were ridiculously cheap, hearty and delicious but there were many large chunks of pork fat within them, especially the buns. Unfortunately, that was a turn off for me because I can't deal with eating too much pork fat (or barely any really), especially when I can see huge chunks of it. Good thing is that at least, the soy sauce was packed separately and surprisingly, it wasn't messy to eat despite them being packed in bags and eating in a cab. 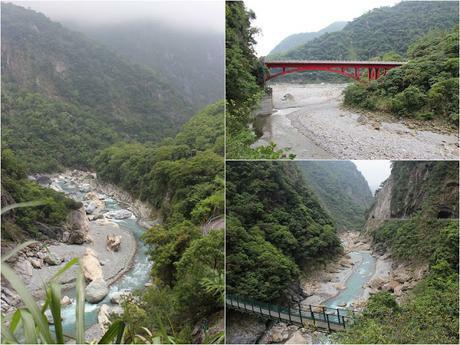 Not far after driving from the town center of Hualien is the Shakadang trail. We didn't have time to finish the entire trail but we did the bulk of it which took about an hour-ish. The hike was beautiful and so tranquil. All you heard was the sound of the Shakadang river flowing through the rocks and the birds flapping around from time to time. 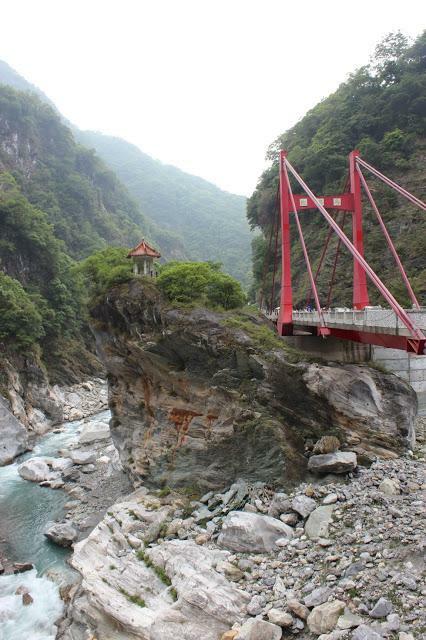 Next up was Taroko National Park - the whole point of visiting Hualien is really to visit Taroko National Park. It is recommended that during certain parts of the hike you wear a helmet to protect against random falling rocks but we took the chances and just wore a hat. 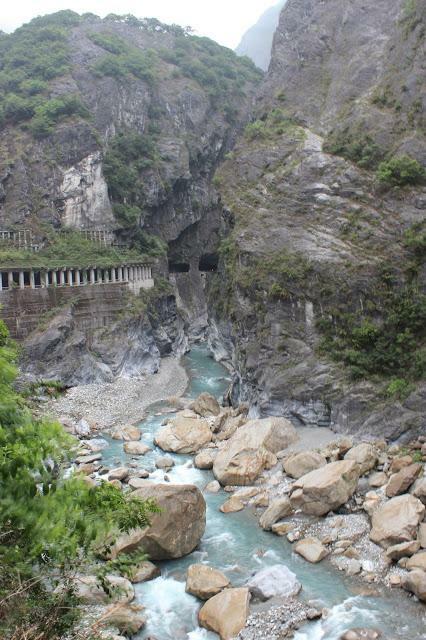 Taroko Gorge was definitely the highlight of the trail. 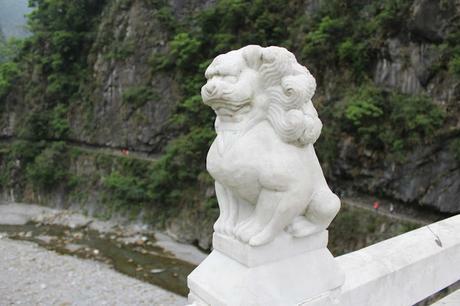 The cliffs, the marble and limestone rocks together with the white-ish blue river was something you just can't forget. Absolutely stunning. 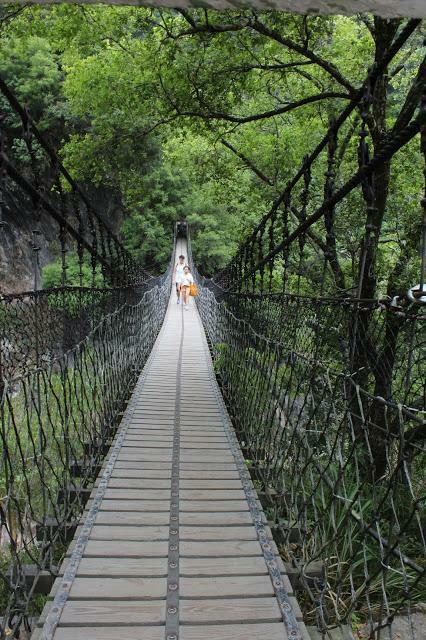 Towards the end of the Taroko Gorge trail, there is a cave which you will need to enter. It is only for a couple of meters but it is pitch black dark so if you think you are going to get freaked out, make sure the flash light on your phone works. It really isn't freaky and perfectly safe, it basically just a dark cave for the lol's. Literally made right in front of you.. Finally, after all the hike, we headed back to the station. 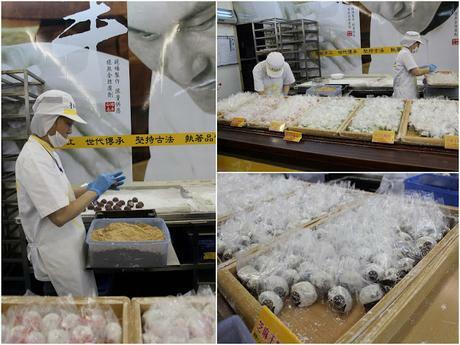 About a 10 minute walk from the station are a couple of shops and one of them makes and sells freshly made mochi. Oh dear sweet baby jesus, these were the most amazing mochi I have ever had. 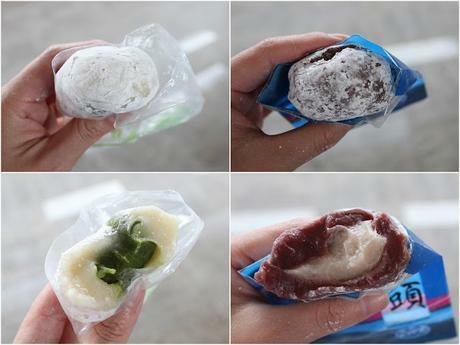 They were soooooo pillowy soft and the outer part of the mochi was a bit stretchy when you bit into it. You can really taste the freshness of the mochi, unlike all the packed and preserved mochi's you find at a local supermarket. I wanted to buy every single one of those flavours but unfortunately, I didn't have enough change on me that day. 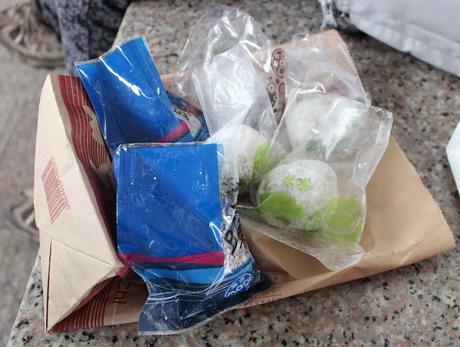 So remember, when you make a visit to Hualien, make sure you have enough muleh to buy ALL the mochi. A decision that you will certainly not regret! 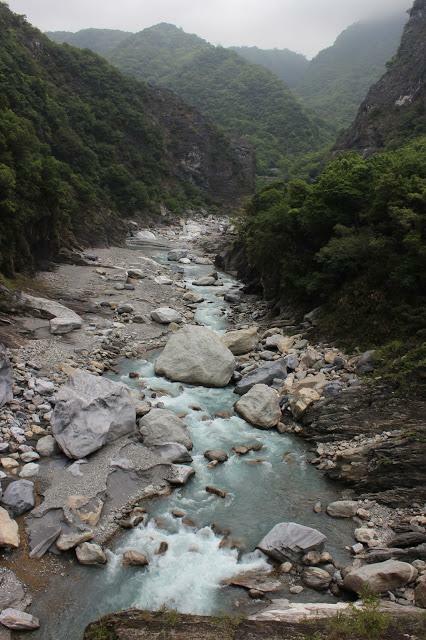 Next stop: Shifen, Taiwan (Part 4). 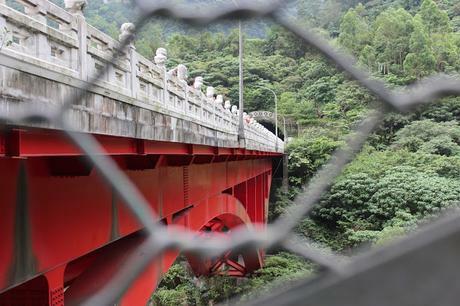 To read more of Taiwan, click here (Part 1 - Yanmingshan, Beitou and Ximendin) and here (Part 2 - Alishan).